Crossovers may not be terribly exciting, but they are crucial currently in the new car market. 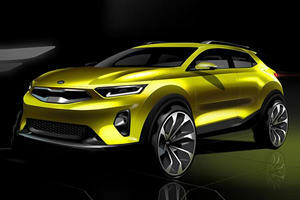 On top of being hugely popular with consumers, they also have the potential to help transform perceptions of car brands - as was the case with the previous Kia Sportage. As a result, a lot is riding on this new one to be a worthy replacement for a vehicle that remained quite popular right till the very end of its lifecycle. And, whilst it doesn’t make as big a leap forward as its predecessor did, the new Kia Sportage is still up there with some of the very best compact crossovers in this class. When we say ‘minor niggles’ in the above sub-heading, we do genuinely mean it. For sure, there were obviously going to be problems (it’s nigh-on impossible to make the ‘perfect car interior’, after all), but they don’t really have that much of an impact in the grand scheme of things.For instance, though we are slightly disappointed by the relative prevalence of lower-quality plastics in the cabin (with the most egregious example being the not-very-premium-feeling shrouds around the transmission tunnel), the Kia Sportage does compensate for that with the additional abundance of soft-touch and (in higher spec models) leather throughout the interior.Likewise, though we’d prefer a slightly larger touchscreen interface on lower-spec models and toggle switches in the trunk to use when reclining the rear seat backs, the truth is there aren’t really any issues with the Kia Sportage ergonomically. In fact, the only other quibble that comes to mind is that some of the buttons and controls are perhaps positioned a bit too far away from the driver. Other than that, there’s not much worth complaining about. Overall storage capacities are fairly good, abundant and spacious. As a result, we can now start lavishing some well-deserved praise on the Kia Sportage. Overall storage capacities are fairly good, abundant and spacious (the front door bins, for instance, should easily be able to swallow a 1 liter bottle), and all-round head and leg room is very impressive by class standards. Even three adults should be able to feel comfortable in the back row on longer journeys. Trunk space is also impressive, with the 31 cubic feet capacity being amongst the largest that this class offers. And, whilst things do slump a bit when it comes to maximum trunk space (fold the rear seats down, and you’re left with 60 cubic feet – some 13 cubic feet down on what a Toyota RAV4 can provide), that’s still sizeable enough for most buyers’ needs. Plus, the Kia Sportage also comes with an adjustable trunk floor that can either be used to create a completely flat load bay that’s flush with the trunk lip, or increase it more at the expense of having the aforementioned trunk lip to contend with. Despite having a name that evokes connotations of precise, dynamic and responsive handling, the Kia Sportage is far from being a fun car to drive. Yes, it would be a brazen lie to say the crossover is awful, but don’t go expecting Ford Escape or Mazda CX-5 levels of agility or poise in the Kia Sportage. Temper your expectations, though, and you’ll find yourself driving a crossover that’s actually quite good in the grand scheme of things. Yes, we’d prefer it if there was a slightly softer edge to the ride over bumpier sections of road, but the overall ride quality does do a good job at ironing out the more abrasive asphalt imperfections – and especially when you consider how well supressed the body lean is when you’re cornering. If there’s one big fly in the Kia Sportage’s ointment, is that the view out the back isn’t that great. Likewise, the slight numbness of the steering is countered by the reassuring and consistent weight it has when you turn the wheel, along with the overall satisfactory responsiveness of the system. Factor in the decent view out (which would be even better if the front pillars weren’t so fat and chunky), and the Kia Sportage doesn’t throw any curve balls at you when you’re positioning the car on the road. If there’s one big fly in the Kia Sportage’s ointment, is that the view out the back isn’t that great. Though it is a bit better than the old car, the new Sportage is still hampered by a hemmed-in rear window and bulky back pillars that make getting a decent view of what’s behind you quite tricky. Though the standard-fit reversing camera does alleviate those concerns somewhat, but it’s a shame you’ll need to spend nearly $29,000 on the mid-range Kia Sportage in order to have access to the much more useful blind spot monitoring systems. Throughout a lot of this review, you’ll encounter plenty of praise and the odd reference here and there to how the Kia Sportage has upped its game and improved upon its predecessor. Sadly, at least for this category, that’s where the positivity starts to wane a bit, as it’s the engines that we feel hold the Kia Sportage back from being closer to best-in-class status. In particular, the 2.4-liter four-cylinder gasoline engine that most buyers will probably end up selecting isn’t really on par with the turbocharged offerings in some rivals. With 181-hp and 175 lb-ft of torque on tap at the fairly higher end of the rev range, you do need to work the engine a bit in order to get the Kia Sportage going, and it doesn’t help either that the 2.4-liter isn’t the smoothest or most refined option either. Fuel economy isn’t that impressive, too, with the claims for 23mpg in the city and 30mpg on the highway (or 21mpg and 25mpg respectively if you go for the optional all-wheel drive system over the standard front-wheel drive setup) being about average by compact crossover standards. If it’s outright efficiency that you’re after, the Kia Sportage won’t be the car for you. Things do become a bit more reasonable with the flagship turbocharged 2.0-liter four-cylinder gasoline engine, but we’re still not overly enamoured with it. For instance, though it’s much more potent than the 2.4-liter as a result of its 260 lb-ft of torque and increased power (240-hp for front-wheel drive; 237-hp for all-wheel drive), it is still lacking a tad when compared with like-for-like competitors. Plus, you do still need to work it hard, and – even in its most efficient guise – the 21mpg city/26mpg highway economy stats aren’t that great. What’s really holding the 2.4-liter back, though, is the fact it’s only available in the top-spec, $32,500 Kia Sportage variant; thus meaning a majority of Sportage buyers won’t even consider this engine. Which is a shame, considering we do feel it does suit the Sportage more than the 2.4-liter – assuming you can stomach the fuel bills. There is, though, a saving grace in the form of the six-speed automatic transmission, which we feel is one of the best you can find in any compact crossover. Gear changes are smooth and slick, it rarely skips a beat when you live the gearbox to its own devices and, we feel, it suits both engines really well. Even if it weren’t the only option, we’d still reckon the auto would be highly worth considering. Though Kias aren’t quite the ‘cheap and cheerful’ propositions they used to be, it is still possible to get a good deal of sorts with the Sportage when you compare it with like-for-like rivals. As always, keep sensible restrain and control over your finances, and you’ll likely end up with a nicely specified Kia Sportage that won’t cost you too much in comparison with the competition. Admittedly, the entry-level, $22,990 ‘LX’ spec is a little bit Spartan for a car at this price range for our liking, so we recommend the $25,500 ‘EX’ spec as the one you should primarily look at. Yes, it is a noticeable leap up from the ‘LX’ in terms of standard specification: a larger and more intuitive touchscreen interface, dual-zone climate control, heated front seats, all-round leather upholstery and a power-adjustable driver’s seat all come as automatically on the ‘EX’, with the heated seats being the only listed item that can be installed on the ‘LX’ as an optional extra. Better still, the ‘EX’ also gets access to blind spot warning and rear-cross traffic alert systems that notify you of any cars behind you when you’re on the motorway or heading towards you when you’re reversing out of parking spaces. 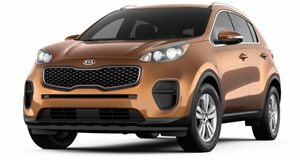 Granted, they are only available by specifying the $1,900 Premium Package, but they are worthy additions considering the Kia Sportage’s chunky pillar issues, and round off all the equipment you’ll ever really need in your crossover, at a price that undercuts a lot of like-for-like rivals like the Honda CR-V. The bumper-to-bumper warranty covers five-years or 60,000 miles. Regardless of what Kia Sportage model you do end up going for, a fair bit of safety kit will be included as standard. All variants have front, side and curtain airbags, a complement of traction and stability control systems, brake assist during emergency stops, hill start assist and even a system that prevents the car from rolling forward if you’re moving from a standstill whilst facing downhill. As with all Kias, though, it’s the warranties that provide the most reassurance – especially for those who’ll be keeping their Sportage for a good while or rack up lots of miles over the course of a year. 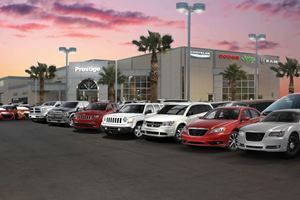 The bumper-to-bumper warranty covers five-years or 60,000 miles (whatever comes sooner), and the powertrain is covered for a staggering 10-years or 100,000 miles. The latter is about as good as you can get in the industry, and the former warranty is still mightily impressive in a landscape where warranties that can last as little as three years are still relatively commonplace. We're not sold on the name, but it looks promising.